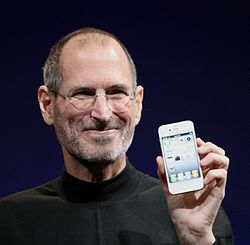 The Apple founder Steve Jobs died of cancer in 2011 at the age of just 56. He was infamous at Apple for having what was called a ‘reality distortion field’. This was recognized by those who worked with him and for him throughout his career. In Jobs’ world nothing was impossible and when presented with a problem that everyone else felt was impassable, Jobs’ dismissed this in his own mind at least, demanding that his team find the solution or way of doing something. This behaviour resulted in many of the most familiar pieces of technology we all enjoy today like home computers, laptops, iPods and iPhones. Jobs simply believed that nothing was impossible. I do not know what Jobs’ view on his own mortality was, or whether he believed in protection for his family. I suspect that financially speaking at least, his dependents were looked after long before he died prematurely. The philosophy of Insurance is simple: the premiums of many will pay for the losses of the few. We insure our car because that is the law, and we insure our home and life usually because the bank requires it for the purpose of a mortgage. Specified Illness Cover is something none of us can afford to be without but you do have a choice about it unlike the aforementioned. Some people, parents and business people alike still do not take the risk of getting seriously ill seriously enough. The statistics are frightening and to me compelling. Why take such an immeasurable risk by being without cover? Why put your family or business in such jeopardy? Let’s look briefly at the deceptive reality of those who feel that ‘it will never happen to me’. The fact is it may never happen to you but equally evidence shows that 1 in 6 of us will get a serious illness before we reach 65. So the next time you and your spouse go out for a meal with two other couples, of the 6 of you, the statistics say on average, one of you will get a specified illness. The next time he plays a friendly 6 a side soccer match, on average 2 of you will get a specified illness, or the next time she attends a post natal class of 18, three of those mothers will suffer a specified illness before they reach 65. The distorted reality that ‘it will never happen to me’ is reaffirmed then by ‘My savings will provide ‘a dig out’ if I get sick’. The truth is savings are not designed for this event and why gamble possibly all your savings on such an event which has a far higher probability than you think. My role is to offer advice that protects my clients’ financial wellbeing. That means, as you move through the life stages, protecting your savings, investments and income throughout no matter what life throws at you. Typically specified illness protection is put in place with a life cover policy. If you die, your dependents benefit. If you get seriously ill, you and your dependents are protected. In other words specified illness cover is a ‘living benefit’ rather than a death benefit and this is key. Let’s look at the reasons why not to gamble without specified illness protection for you and your family. That is the reality. There is no deception and no getting away from the facts. The reality is that getting seriously ill has a huge impact. You may experience prolonged periods of treatment and prolonged absences from work, possibly be on expensive medication for life and all of these will come at hefty costs. The added financial distress associated with dealing with serious illness doubles the burden. Protecting oneself reduces the financial burden allowing you focus on getting better. That is why protecting yourself and your loved ones against the risk of serious illness is one of the greatest priorities for all of us. It is simply too great a gamble not to protect against these high impact, low frequency events. Don’t let your ‘reality distortion field’ get in the way of protecting you, your family and business.